The angels give us signs so that we will know that they and their messages are real. The signs could be anything that you see or hear three or four times or receive in an unusual way. For example, you hear the the same book title from three or more sources, then the angels are likely trying to tell you to read that book. The angels also leave feathers in an unusual place as a sign of their presence likely because we would associate feathers with angel wings. Other signs come in the form of a fragrance and often people will report smelling perfume, flowers or smoke when their angels are nearby. 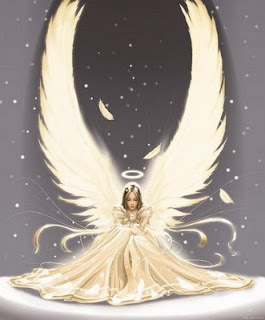 Another sign reported is seeing Angel lights with their physical eyes. These lights look like camera flashes or shimmering sparkles. They can be white lights or bright jewel-like shades of purple, blue, green and other colours. These lights are the friction or energy of angels moving across the room. It’s like seeing sparks fly from a fast-moving car. The white lights are from our guardian angels, and the colourful lights originate from the archangels. I remember the first time I saw my first angel lights. I was reading in bed and all of the sudden blue sparks flew out of the book I was reading!!! I was so shocked and in awe because I knew it was my angels and I was so excited that I was able to see them. After this, I began seeing the angel lights more often and mainly as sparks of light- blue, purple and sometimes white. Another common way in which angels will communicate is by showing us number sequences called Angel numbers. If you have noticed that you will see the same numbers repeatedly either on clocks, phone numbers, license plates, then the angels are communicating with you. I always see 1:11 or 11:11 and it just seems that I always glance at the clock at that particular time. I smile because I know that the angels are around me. Have you received a sign from your angels?